The Old Bell is Derby’s largest and last surviving coaching Inn. Built in 1650 it was once considered to be one of the most prestigious Inns outside of London. Set in the heart of Derby’s historic Cathedral Quarter. it was a bustling coaching Inn , being the main stop off point for stagecoaches and the mail trade coming in from all over the world. We offer a unique eatery with drinks galore in stunning surroundings. Having recently undergone an extensive restoration, our beautiful interiors with many original features, make The Old Bell a great pub, meeting place and event venue. Whether enjoying the sun in our Historic courtyard or sitting by a roaring fire in our Tudor Bar on a cold winters night there is something for everyone at The Old Bell. Traditional Real Ales on Tap. Being in the Real Ale capital of the UK we don’t disappoint, we have a huge range of traditional real ales, the largest selection of whiskies in the city as well a huge range of craft and speciality lagers and ciders. Or if you just want a nice pot of tea whilst enjoying our surroundings then that’s perfect too. It also played host to doctors surgeries, court sessions and its cellars were also used as prison cells. Over the centuries the Inn has played host to many visitors including Bonnie Prince Charlie’s army in 1745 who were billeted to the upper floors on their ill fated march to London.Some more recent famous visitors have included Sir Paul McCartney and John Lennon. Music has played an important part in the Bells history from afternoon concerts in the Ballroom in 1775 to grooving the night away in the discotheque in 1975. The Bell is also very well known for a more ghoulish reason as it is one of the most haunted buildings in the city, with more than 12 different ghosts. 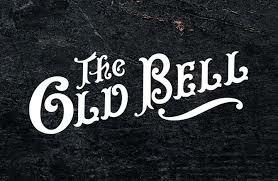 In 2013 the Old Bell went through the largest renovation project in its history. Entrepreneur Paul Hurst worked with Derby City Council and English Heritage on a two year project to restore the crumbling building the results of which are outstanding. Having won various Heritage awards the Old Bell has regained its prestigious dignity and once again sits proud in the beautiful Cathedral Quarter.